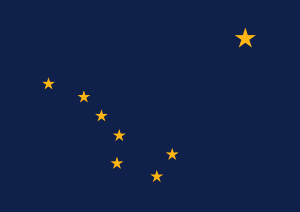 The Battle of Attu, which took place from 11–30 May 1943, was a battle fought between forces of the United States, aided by Canadian reconnaissance and fighter-bomber support, and the Empire of Japan on Attu Island off the coast of the Territory of Alaska as part of the Aleutian Islands Campaign during the American Theater and the Pacific Theater and was the only land battle of World War II fought on incorporated territory of the United States. 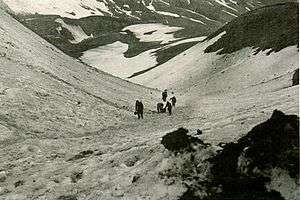 It is also the only land battle in which Japanese and American forces fought in Arctic conditions. 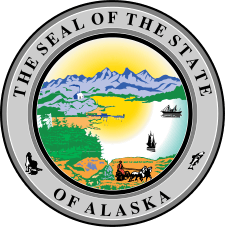 On 7 June 1942, six months after the United States entered World War II, the 301st Independent Infantry Battalion from the Japanese Northern Army landed unopposed on Attu. The landings occurred one day after the invasion of nearby Kiska. The U.S military now feared both islands could be turned into strategic Japanese airbases from which aerial attacks could be launched against the West Coast of North America. 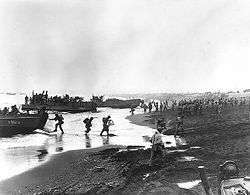 On 11 May 1943, units from 17th Infantry, of Maj. Gen. Albert Brown's 7th U.S. Infantry Division made amphibious landings on Attu ("Operation Landcrab") to retake the island from Japanese Imperial Army forces led by Colonel Yasuyo Yamasaki. Despite heavy naval bombardments of Japanese positions, the American troops encountered strong entrenched defenses that made combat conditions tough. Arctic weather conditions and exposure-related injuries also caused numerous casualties among U.S. forces. But after two weeks of relentless fighting, American units managed to push the Japanese defenders back to a pocket around Chichagof Harbor. 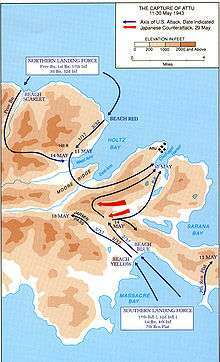 On 29 May 1943, without hope of rescue, Yamasaki led his remaining troops in a banzai charge. The momentum of the surprise attack broke through the American front line positions. 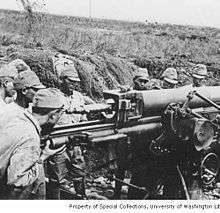 Shocked American rear-echelon troops were soon fighting hand-to-hand combat with Japanese soldiers. The battle continued until almost all of the Japanese were killed. The charge effectively ended the battle for the island, although U.S. Navy reports indicate that small groups of Japanese continued to fight until early July 1943. In 19 days of battle, 549 soldiers of the 7th Division were killed and more than 1,000 injured. The Japanese lost over 2,850 men; only 29 prisoners were taken. 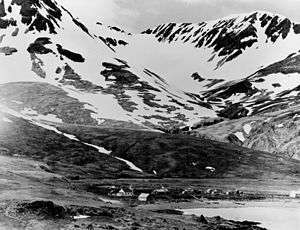 Attu was to be the last action of the Aleutian campaign. 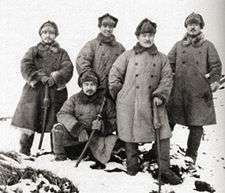 The Japanese Northern Army secretly evacuated their remaining garrison from nearby Kiska, ending the Japanese occupation in the Aleutian Islands on 28 July 1943. The loss of Attu and the evacuation of Kiska came shortly after the death of Admiral Isoroku Yamamoto, who was killed by an American plane in Operation Vengeance. These defeats compounded the demoralizing effect of losing Yamamoto on the Japanese High Command. Despite the losses, Japanese propaganda attempted to present the Aleutian Island campaign as an inspirational epic. 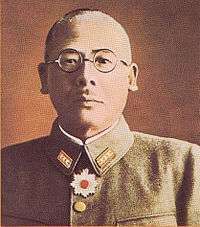 Imperial Japanese Army Colonel Yausuyo Yamasaki led Japanese forces during the Battle of Attu in May 1943. He died leading a banzai charge during the final attack. Paul Nobuo Tatsuguchi, a Japanese Christian who served as military surgeon on Attu and died during the fighting. Joe P. Martinez, a posthumous Medal of Honor recipient for actions during the Battle of Attu. Castner's Cutthroats, a specially-selected 65-man unit which performed reconnaissance missions in the Aleutian Islands during the Pacific War. 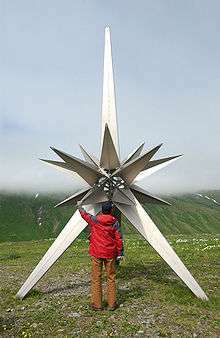 ↑ "Battle of Attu". The History Channel. ↑ "Zuikaku Tabular Record of Movement (TROM)". Imperial Japanese Navy Page. Jonathan Parshall. Retrieved 10 September 2014. Morison, Samuel Eliot (2001) . 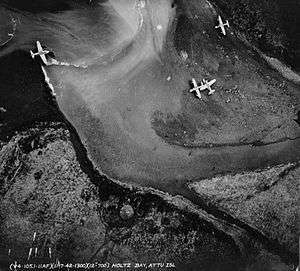 Aleutians, Gilberts and Marshalls, June 1942-April 1944, vol. 7 of History of United States Naval Operations in World War II. Champaign: University of Illinois Press. ISBN 0-316-58305-7. OCLC 7288530.